Benefit your small business with an unlimited data broadband plan tailored to your needs. Our Optus plans offer flexible calling packs and a AC Wi-Fi modem. Support your business with an nbn™ or ADSL office internet plan, plus Premium Support. You have the growing business. We have the unlimited data. Let’s build something great – together. 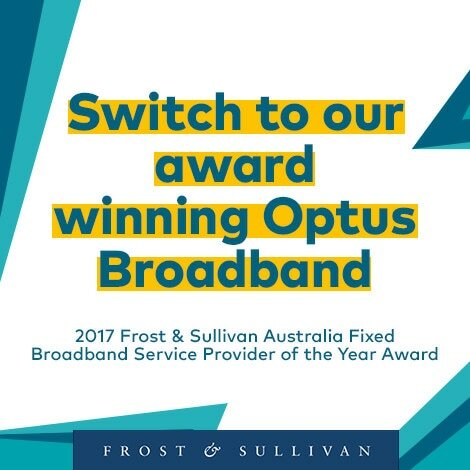 What type of address is the Optus service intended for? Please select other address type. Please select an address type. Is there a phone number at this address you'd like to keep? Please enter valid phone number with area code. 10 digit number including area code is required. Because your home is in a new development area, there's a one-off New Developments Charge of $300. The nbn's New Developments Charge will be included as an upfront cost on your Optus bill. Not all speed pack options are available at all addresses. We’ll confirm what speed packs you can get when you place your order. nbn is on it’s way! Here are the nbn plan options that will be available to you once it arrives. If you would like us to contact you when the nbn is ready, you can register for nbn updates here. Head over to our Optus DSL plans to see what's available to you. But don't sweat, check out your options here. Are you existing Optus Broadband Customer?